Spring in New England. It’s a time of renewal. The bears come out of their slumber, trees start to bud, birds sing in the morning, and the blackflies come out! Just when you want to get outside, bug season arrives. We’ve got you, and your furry friends covered! 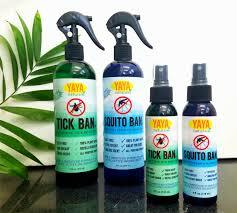 Come take a look at our extensive selection of natural pest repellents for your whole family! Going out in the sun? We have all of your before and after Sun needs right here! Natural Sunscreen for all ages, as well as after Sun products to moisturize and soothe tired skin.